A 529 plan is a college savings plan that allows your money to grow tax free for a beneficiary such as a child or grandchild. Withdrawals are also tax free, as long as the money goes toward qualified education expenses. Otherwise, you may have to pay taxes and a penalty. The federal government created 529 plans, but the states or colleges operate them. Because 529 plans have special tax status, the IRS wants to make sure they are used for their intended purpose, not for avoiding taxes. Withdrawals must be made for qualified post-secondary educational expenses, which include college tuition, books, room and board, and any fees assessed because of being a student. In addition, the American Recovery and Reinvestment Act of 2009 added computer equipment and computer software to the list, as well as the expense of Internet access and related services. Withdraws must be used for education at an eligible educational institution. In general, all colleges, universities, specialty schools, trade schools and vocational schools that are eligible to participate in federally administered financial aid programs qualify. If you withdraw money from a 529 plan for anything other than qualified education expenses, you may have to pay regular income taxes and a 10 percent penalty on the funds you take out. For example, if you are in the 20-percent tax bracket and you withdraw $20,000 for a non-qualified purpose, you may have to pay $4,000 in taxes and another $2,000 for the penalty. You can't deduct 529 plan contributions from your federal income taxes. However, some states give residents a deduction if they use the state's 529 plan. 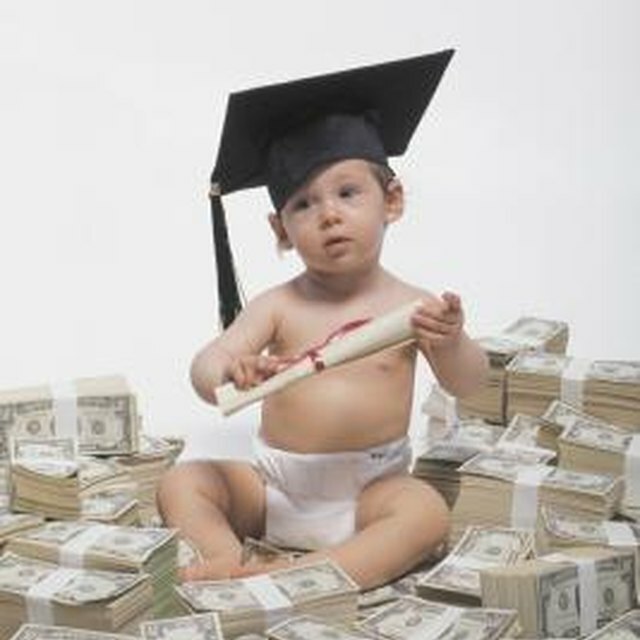 A 529 plan beneficiary may be changed at any time for any reason. As a result, any funds left in the account can be transferred to another child or family member tax free and penalty free.